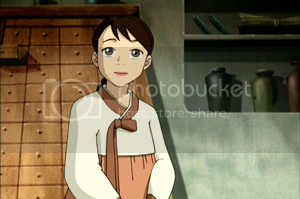 Derek Kirk Kim, a Korean-American cartoonist, recently wrote a particularly poignant piece on the controversy surrounding the “whitewashing” of the cast of The Last Airbender. When my brother and I were in high school, our favorite class was Drama. While we were rehearsing for the next day’s class or participating in a school play or dancing it up at the after party, I don’t think there was anything we liked more. During such times, it even surpassed our love of—dare I say it—comics. But we never even entertained the notion of actually pursuing it as a career. Not because we didn’t want to, but because we had too much pride to spend our entire lives pretending to be Long Duk Dong, or a Chinese food delivery boy with one line, or a Kato to some Green Hornet. Or even worse, having our hearts broken over and over going after roles that specifically call for Asian Americans like “Avatar, The Last Airbender” only to see them go to white actors. Back in my Drama days in high school, I used to dream of being white so I could pursue acting. With discrimination like this “Avatar” casting continuing to happen uncontested in Hollywood, my future kids will nurse the same pitiful wish. A sad bit of truth there, and it’s always bugged me about Hollywood. He also speaks on Avatar’s inseparable connection to Asian and Inuit culture. It would seem, given the recent recasting of the main villain, that this fear has unfortunately come to fruition. African Americans kids can finally, realistically dream of being president one day. Can’t Asian American kids—perhaps my kids—at least dream of being something as relatively insignificant as central characters in some escapist Hollywood movie where everything is stolen from their heritage? Can’t they be a part of America too? To read the entire article, please visit Mr. Kim’s blog here.